St. Therese Catholic Church is currently staffed by five Discalced Carmelite Friars: the Pastor, Fr. Philip Sullivan, OCD, and the Associate Pastor, Fr. Matthias Lambrecht. Fr. Albert Bunsic, OCD, is in residence at the Carmelite Monastery along with Bro. Jason Parrott, OCD, and Bro. John Cannon, who is here on a pastoral year. Bro. Jason, Fr. Matthias, and Bro. John are all teaching at the school; Fr. Philip also teaches a weekly class on iconography. You may find the contact information for each of them by going to the CONTACT page of this website. If you or someone you know may be interested in becoming a Discalced Carmelite Friar, check out a promotional video by clicking here X.
Fr. Philip, the fifth of six children, was raised--together with his three brothers and two sisters--in a good Catholic family in Garden Grove, California. His father, Richard Sullivan, was a Junior High School teacher and his mother, Shirley, was a physical therapist. While in high school, Fr. Philip's family moved to Arizona. Upon his graduation from high school, he attended Arizona State University with the hope of earning a degree in illustration. As a young adult, Fr. Philip worked for many years in the restaurant business in Phoenix, Arizona, and in Orange County California. 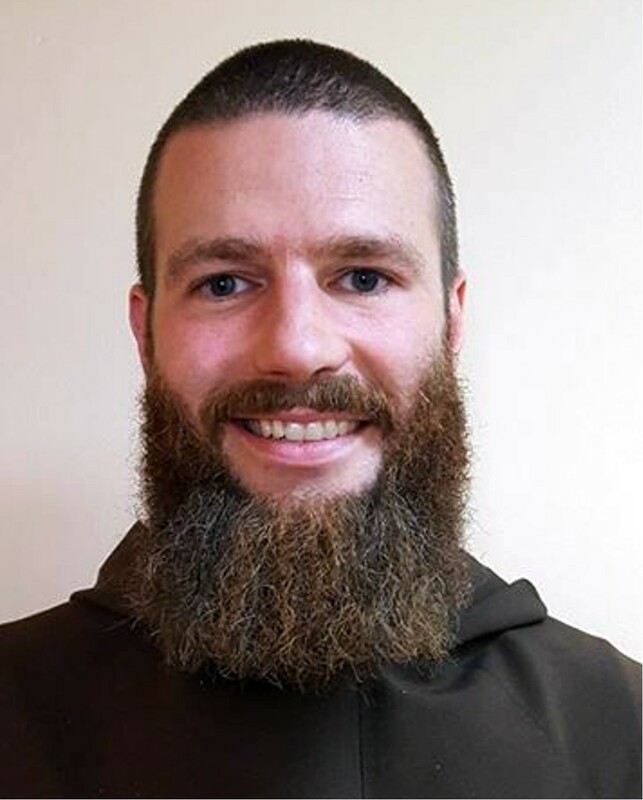 With the encouragement of his father (who had once tried his own vocation as a seminarian), his mother, and a diocesan priest friend of the family, he began to consider a religious vocation. 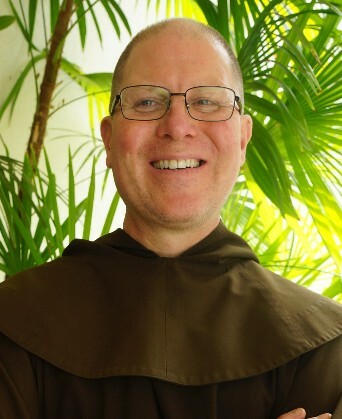 In discerning his call to the priesthood, he considered nine other religious communities and the Diocese of Orange before deciding that it was with the Discalced Carmelite Friars that he felt at home. Fr. 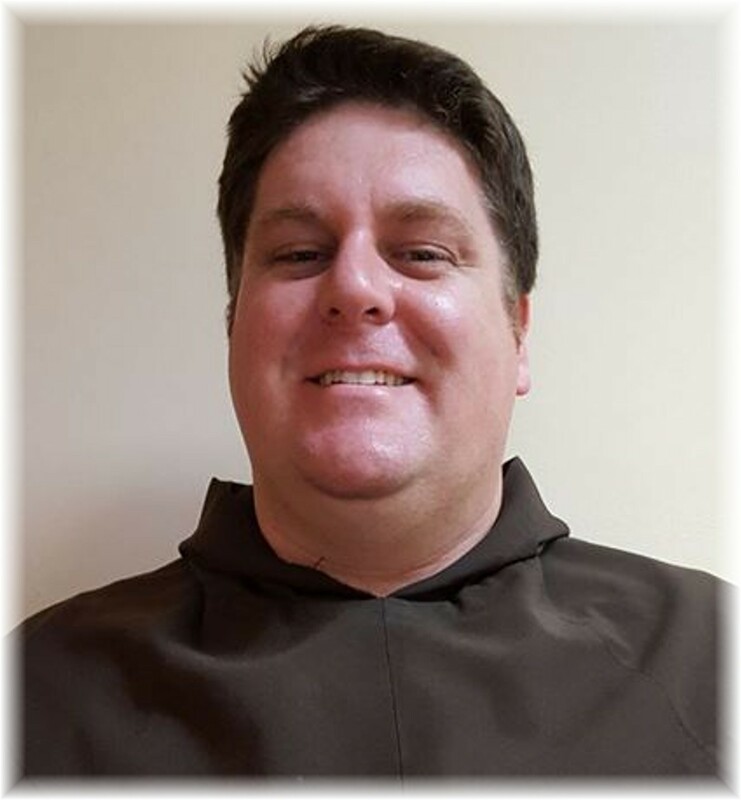 Philip entered the California-Arizona Province of the Discalced Carmelite Friars in 1998 and made his first Profession of Vows in 2000, taking the religious name Philip of Our Lady of Guadalupe because of his special devotion to her. After seven years of study at Mt. Angel Seminary in Oregon, Fr. Philip was ordained a priest in 2007. Since his ordination, he has served the Province as an Associate Pastor of Santa Cruz Church and as Pastor of St. Margaret Mary Church--both in Tucson, Arizona. In the Summer of 2011, he was assigned to be Pastor and Superior here at St. Therese. He also serves the Province as a member of the Provincial Council (elected in 2011 and reelected in May 2014). A well-known fact about Fr. Philip is that he has a great sense of humor. A little known fact is that he is an accomplished iconographer and character artist. After attending two years of junior college, Fr. Albert received a scholarship to play football for the University of San Diego, which was then the location of the diocesan seminary. There he met two young seminarians who led him to discover the Discalced Carmelite Friars. Ultimately, Fr. Albert was the only one of them to pursue a vocation to the priesthood, but the three remained lifelong friends. “God used them to help me in my discernment,” says Fr. Albert. He entered the Carmelite novitiate in September of 1958, professed first vows the following year, and took solemn vows on September 8, 1962. His years of ministry had him zigzagging between California and Arizona. He served not only in various parishes but also in formation and retreat ministry. 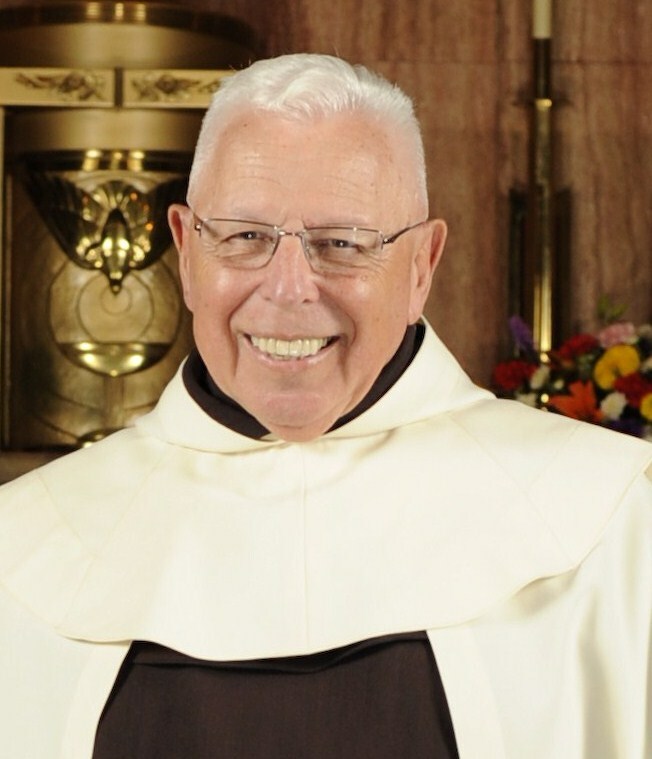 For six years, he was superior of the House of Prayer in Oakville, California, followed by three years as the superior of the novitiate in San Jose, California. 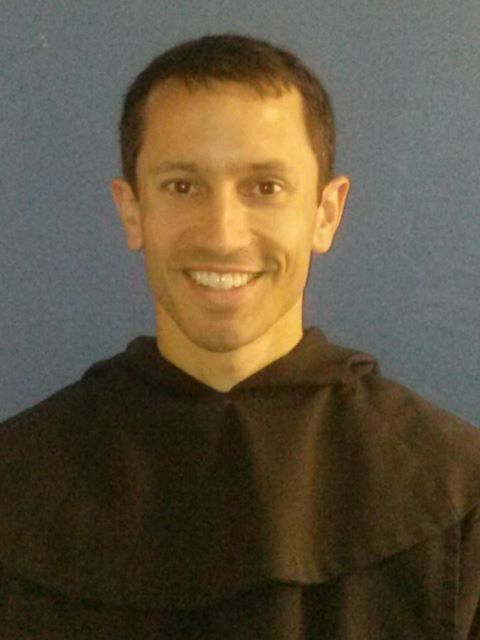 He has also served as Associate Pastor of St. Margaret’s and Santa Cruz in Tucson. Since 2013, he has been at St. Therese Church (his third or fourth stint here—the first time was in the 80’s!). The origin of the Discalced Carmelite Order came about near the middle of the twelfth century. A group of pilgrims settled on Mt. Carmel to lead an eremitical life in imitation of the Prophet Elijah. The main elements of Elijah's life—solitude, penance, prayer, and contemplation—became the way of life for the first Carmelites. The Rule of the first Carmelites was given in 1209 by St. Albert, Patriarch of Jerusalem. After spreading throughout the Holy Land, the Order broadened to Western Europe. However, the European people did not readily accept them. Because of this, the Order was in a crisis until, in 1247, a prominent English Carmelite, St. Simon Stock, adapted the eremitical life to make it more practical—without changing its essentials. St Simon's adaptations inaugurated a "golden age" for the Carmelites, giving the Church many mystics, saints, and theologians. It was also to St. Simon that Our Lady appeared under the title of Our Lady of Mt. Carmel, bestowing to him the Brown Scapular. A mix of political and social conditions prevailing in Europe in the fourteenth and fifteenth century adversely affected the Order. Many individual Carmelites and even whole communities succumbed to contemporary attitudes and bore less and less resemblance to the first hermits of Mt. Carmel. But in the sixteenth century a Spanish Carmelite nun, St. Teresa of Jesus (1515-1582), renewed the Carmelite Order and strengthened its commitment to intense prayer. It was after this renewal that they were then known as the Discalced Carmelites (the word "discalced" translates to barefooted). 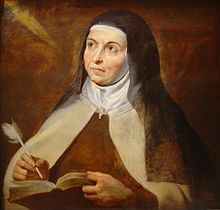 In 1562, Teresa founded her first monastery in Avila, Spain, and restored the earlier Carmelite traditions of the “spiritual desert” of silence, solitude, poverty and prayer. She also worked with St. John of the Cross, a Spanish Carmelite friar who lived in from 1542 to 1591), to establish a similar renewal among the Carmelite Friars. Both St. Teresa and St. John are now Doctors of the Church due to their eminent teachings on prayer. St. Teresa’s call to build up the Church fully evolved when the immense project of the missions dawned on her. 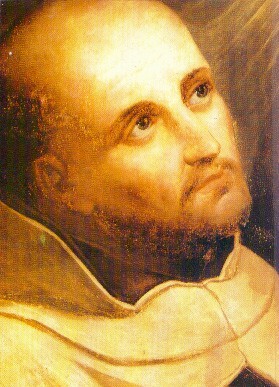 St. John of the Cross was preparing to join a Carmelite mission in Mexico at the time of his death. Later, Fr. Andrés, Fr. Antonio, and Fr. Antonio were part of that mission. The Vizcaino Expedition gave them the opportunity to spread the Gospel and take the spirit of Carmel to a remote but promising new shore in California. St. Teresa never dreamed her Carmels would extend beyond Spain. However, by the time she died in 1582, there were seventeen convents of nuns (all but two of them personally founded by her), and fifteen of friars. The Discalced Carmelite Order now encompasses the globe! Following are the four branches of Carmelites in this Province that make up the Carmelite family tree. FIRST MASS BY A CARMELITE FRIAR IN CALIFORNIA: On the West Coast of what is now the continental United States, Carmelite friars Fr. Antonio de la Ascension, Fr. Andres, and Fr. Tomas, accompanied explorer Sebastian Vizcaíno as crew chaplains. The three of them offered the first Mass in present-day California on November 12, 1602, at a site at Point Loma in present-day San Diego, and continued up the coast to a site at Monterey Bay, where they celebrated another Mass on December 16, 1602. • Santa Cruz Parish (1919) and • St. Margaret Mary Parish (1951). However, in the Summer of 2013, the Carmelites gave St. Margaret's back to the Diocese of Tucson, and it is now staffed by Diocesan priests. In 1964, the Catalonian Carmelite Friars in Arizona affiliated with the Friars in California. The official name is the California-Arizona Province, It includes Alaska, Arizona, California, Colorado, Hawaii, Idaho, Nevada, New Mexico, Oregon, Washington, Wyoming, and Utah. Within this geographic area, there are also 16 monasteries of Cloistered Discalced Carmelite Nuns, two congregations of active Carmelite Sisters, and 45 communities of Secular Order Discalced Carmelites for lay people. Due in part to the tremendous popularity of such Carmelite Saints as St. Teresa of Avila, St. John of the Cross, St. Thérése of Lisieux, and St. Edith Stein, the Province is experiencing an unprecedented increase in vocations. After much prayer and discernment, on November 12, 2002—the exact 400th anniversary of the first recorded Mass on the West Coast of the United States by the Discalced Carmelite Friars (see above)--the Province officially began a new mission in Uganda, Africa (including schools). It continues to be staffed by Carmelites from this Province and is attracting many new vocations from that area. DO YOU KNOW YOUR CARMELITE CALIFORNIA HISTORY? In 1602, 167 years before the Franciscans founded the first mission in California, Spanish explorer Sebastian Vizcaino set to navigate and explore the western coast of America, under the patronage and protection of Our Lady of Mount Carmel. Accompanying them were three Discalced Carmelite Friars, Fr. Andres, Fr. Antonio, and Fr. Tomas, who served as crew chaplains. On November 10, 1602, the ships sailed into the harbor of what is now San Diego. Two days later, on what was then the feast of San Diego de Alcala, the three friars celebrated the first recorded Mass in California and named it in honor of San Diego. The Friars then journeyed up the coastline to Oregon, naming many of the coastal towns we know today, including the Catalina Islands, site of the first-recorded Mass celebrated in L.A. County. Later, St. Junipero Serra read the journal of Fr. Antonio, one of the three Friars, and was so inspired that he made a point of celebrating Mass at the very spot where the Carmelite Friars celebrated Mass near Carmel-by-the-Sea, which was named in honor of Our Lady of Mount Carmel. In 1912, a group of Spanish Carmelite Friars from Catalonia, who had been working in Mexico, fled to Arizona to escape persecution. (Five of these Friars were martyred when they returned to Spain and have since been beatified.) These Carmelites established three parishes in Tucson, one of which, Santa Cruz, the Carmelite Friars still staff today. In 1964, the Catalonian Carmelite Friars in Arizona affiliated with the Friars in California and became the California-Arizona Province, which includes Alaska, Arizona, California, Colorado, Hawaii, Idaho, Nevada, New Mexico, Oregon, Washington, Wyoming, and Utah. The Friars also established the following: El Carmelo Retreat House, Redlands, CA; (1952); Carmelite House of Prayer, Oakville, CA (1955); Carmelite Novitiate, San Jose, CA (1959); St. Cecilia Parish and the Institute of Spirituality, Stanwood, WA (1989); and the Carmelite House of Studies, Mount Angel, OR (1999). After much prayer and discernment, on November 12, 2002—the exact 400th anniversary of the first recorded Mass on the West Coast of the United States by the Discalced Carmelite Friars, the Province officially began a new mission in Uganda, Africa. Cloistered Carmelite Nuns: In 1903, five Discalced Carmelite Nuns from the St. Louis, Missouri, monastery came to Los Angeles to begin the Carmelite life in Southern California (the St. Louis Carmel was established in 1863 with some of the community from Maryland). The Sisters lived in rented houses in Los Angeles for ten years until the present monastery could be built in Alhambra in 1913. The area was just beginning to be developed and had originally been an orange grove. The Nuns live a contemplative, consecrated life of chastity, poverty, and obedience. The lifestyle of a cloistered Carmelite Nun is almost as it was for St. Teresa of Avila: prayer, silence, penance, and sacrifice. The day is made up of personal and liturgical prayer, typically beginning at 5:30 a.m. and ending at 10:00 p.m. Manual labor, an external expression of the life of prayer and an expression of poverty, occupies half of their day. In accordance with a concept nurtured by St. Teresa herself, each Carmel is limited to 21 members. At the present, there are 13 professed Sisters who are like a small family, helping one another toward sanctity. Within the California-Arizona Province, there are 15 other monasteries of cloistered Discalced Carmelite Nuns. The Carmelite Friars of St. Therese Parish: On January 19, 1922, a petition from the Irish Province of the Discalced Carmelite Friars was approved to make a foundation in the United States. Bishop Cantwell, the Bishop of the Diocese of Los Angeles-San Diego, allowed the proposed Carmelite parish to be established in East Alhambra and to be named after Blessed Therese of the Child Jesus, who at that time had not yet been canonized. The formal opening of St. Therese Parish took place on Christmas Day with the celebration of the first Mass at the cloistered Nuns’ Chapel. At the same time, the Friars recognized the need of a school. The groundbreaking for the new combination church/school building took place on June 1, 1926, and the church was dedicated that year on November 7. The school was on the ground floor, and the church, on the upper. The Dominican Sisters were in charge of the School until 1930, until the Archbishop asked them to take another school in Anaheim. After an extensive search, the Sisters of St. Mary of the Woods in Indiana (Sisters of Providence) agreed to staff the school, which they did up until the 1980’s, when it became solely staffed by lay persons. Our current church was built in 1950 and dedicated on January 14, 1951, by Cardinal McIntyre. In 1954, the priests' rectory was built, which is now used as office space. The St. Therese Parish Hall and the classrooms for St. Therese School were built in 1963, under the leadership of the then-Pastor, Fr. Gerald Winters, OCD. The St. Therese Parish Center was built in the year 2000, under the leadership of the then-Pastor, Fr. Matthew Williams, OCD. In October of 2012, the Friars moved out of the rectory (the current offices for the Parish) into the former convent on Vega (originally built in 1960 for the Sisters of Providence). Since 1924, we have celebrated our Silver Jubilee (25th) in 1949; our Golden Jubilee (50th) in 1974; and our Diamond Jubilee (75th) in 1999. We look forward to the celebration of our Platinum Jubilee (100th) in 2024! The Carmelite Sisters of the Most Sacred Heart of Los Angeles is a religious community of the Carmelite Order founded in 1921 by Ven. Mother Maria Luisa Josefa of the Most Blessed Sacrament. On June 24, 1927, she and two other sisters sought refuge in Los Angeles from the religious persecutions in Mexico. This led to the establishment of twelve Carmels in the U.S. and eventually to the establishment of the Carmelite Sisters of the Most Sacred Heart of Los Angeles. Before her death, Mother expressed her desire for a retreat apostolate; Sacred Heart Retreat House in Alhambra, California, fulfilled that dream. Fr. Donald Kinney, OCD, is now the chaplain for the Sisters. As well as operating the Retreat House, the Sisters also minister in health care and education. Secular Order of Discalced Carmelites: The Secular branch of the Carmelite Order is comprised of lay people who practice the evangelical counsels of poverty, chastity and obedience, according to their state in life. In nearly every place where there is a Carmelite Monastery, and even in many places where there are none, men and women have formed Communities of Secular Carmelites--with approximately 70 such communities within the California-Arizona Province alone! The Alhambra Secular Carmelites are divided into two groups, with each group meeting at St. Therese once a month. NOW THAT YOU KNOW OUR PAST, COME AND BE PART OF OUR FUTURE! St. Therese Parish has a very unique Carmelite School, which is planting seeds for the Carmelite future in California. COME AND SEE WHAT MAKES US DIFFERENT!